Suzy is finally ready ! 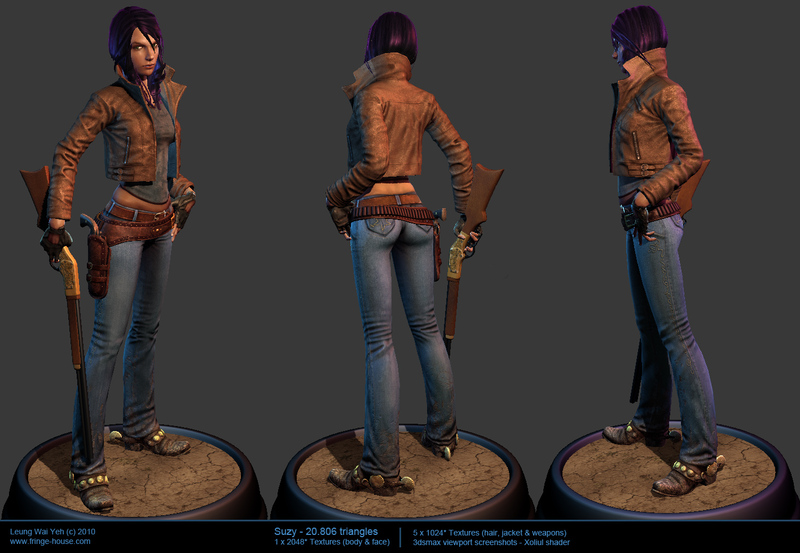 : I gave her a new jacket, a new hairdo and a new Colt Bisley. 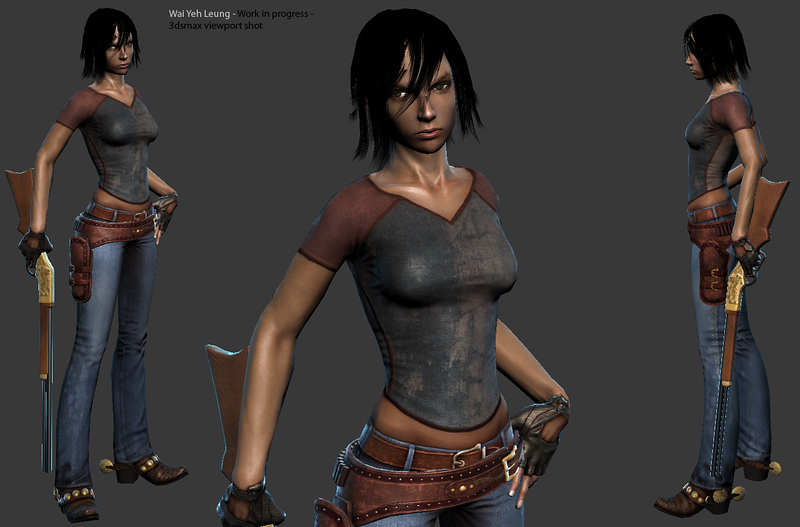 Check out the '3D work' for more close-ups ! 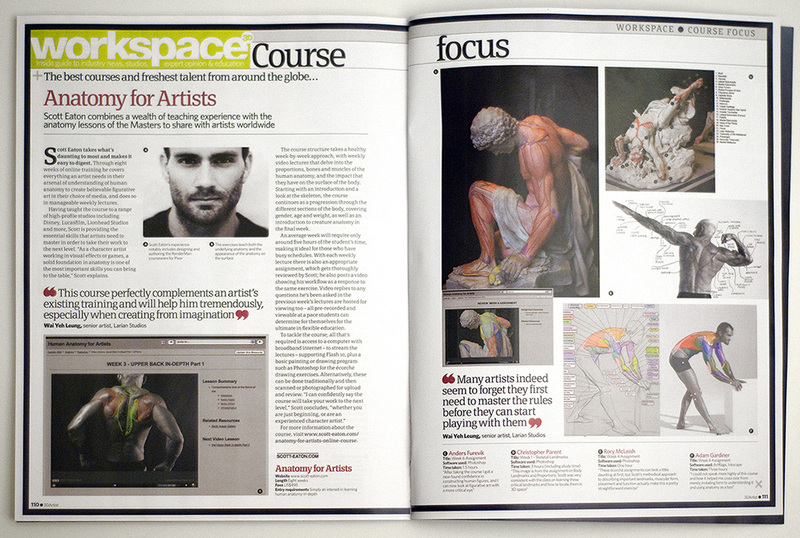 3D Artist magazine -issue number 23- features an article about Scott Eaton's Anatomy Course. You can find some personal quotes in there. The 'Scott Eaton's anatomy for Artists' course drew to an end, and it was an amazing course that literally gave me new eyes! I tell you ! 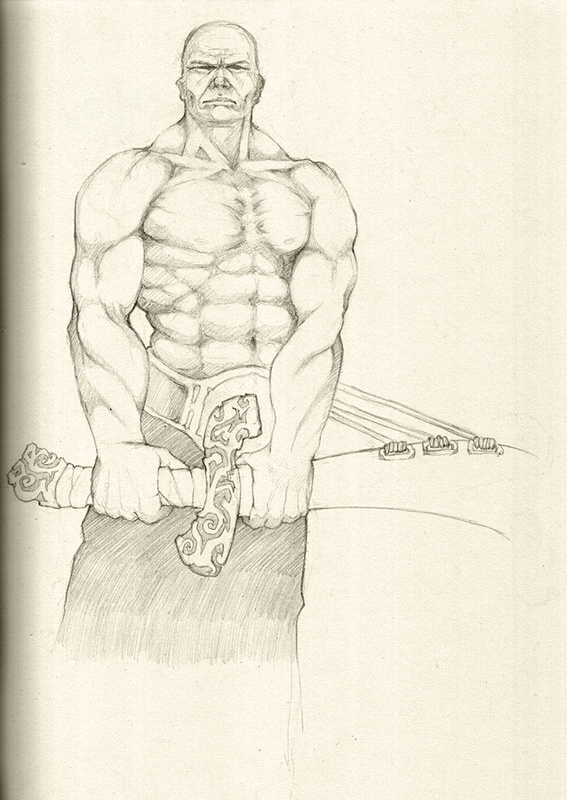 Anatomy is one of the most basic fundamentals that every artist HAS TO learn if he wants to work with characters one day in his life, and yet, it is often overlooked or underestimated. If I could, I would make this course compulsory ! I have joined 'Scott Eaton's anatomy for artist online course'. Scott is an extremely talented artist, technical director and anatomy consultant, residing in London, UK. I am really looking forward to this opportunity to broaden and deepen my anatomy knowledge ! Suzy is slowly shaping up. She's starting to looking cute with a new haircut and some human attitude ! I had some fun doing Elisabeth Vigee-Lebrun's portrait ! An elegant and famous French woman painter in the 18th century. MonkeyLabs is released ! 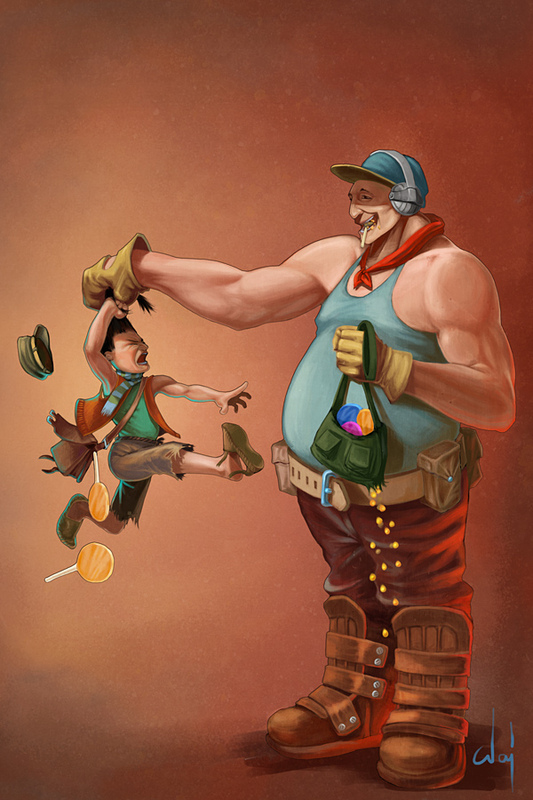 A funny small educational project which taught me my first experience in being lead artist. Divinity 2 : Ego Draconis is released in Germany ! I updated my professional gallery with some work I did on the project. 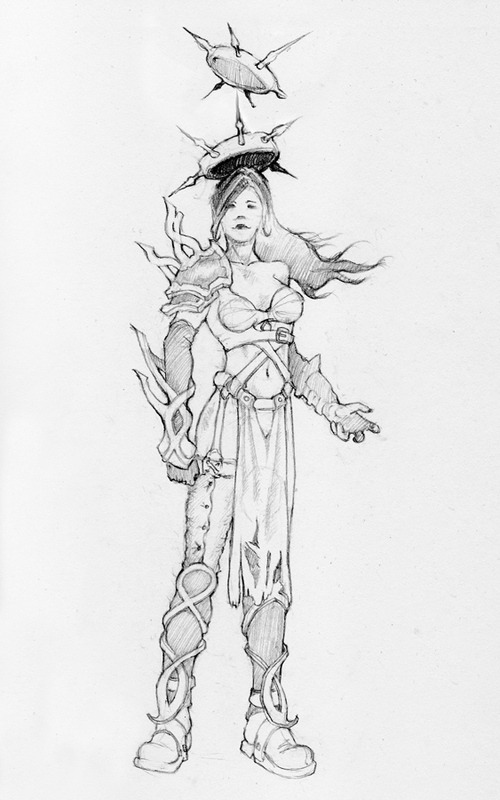 I'm projecting to create some 3d characters that I'm going to use (yup free virtual slavery) to pimp up the website a bit... First meet Suzy (sort of badass cow-girl) and a kind of female battlemage. 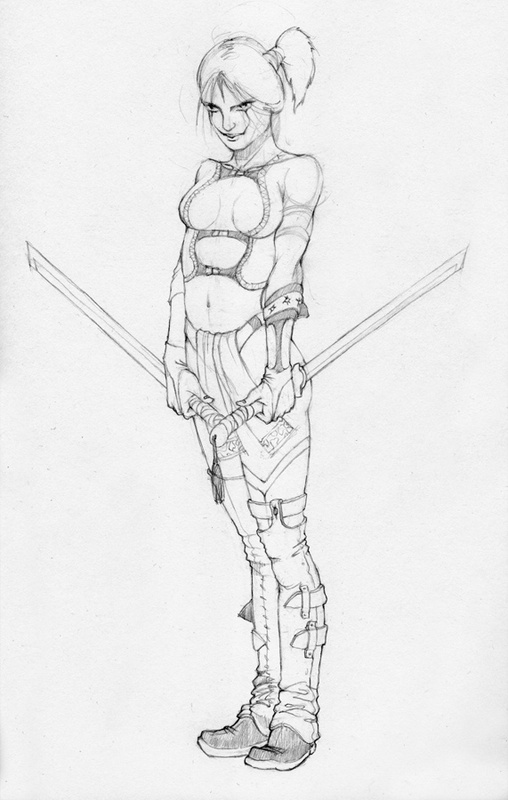 My hands were aching for more drawings... " An Assassin" and "A Hunteress". Got myself a little pause (recently finished Mass Effect and Fallout 3) but I'm back to my Wacom tablet now ! Some of my Larian collegues wanted to see "Traumatizing Experience !" in a more "coloured version". Made a "colored version" of "It's summer time baby !". He's young and very happy because he's just received a hole lot of free candies, but is about to live a traumatizing exprerience he'll probably remember all his life ! A drawing I did this afternoon, about someone on his journey to home. I'm very glad to announce the next-gen RPG I'm working on for more tham 3 years now : "Ego Draconis" the follow-up of Divine Divinity. Scheduled to be released in 2nd quarter 2009 on Xbox 360 and PC ! Hop hop, here's a zbrush sketch of an Indian farmer I started some long time ago but never found time to finish it. I was inspired by a picture took by Jean-Baptiste Huyn, who's a professional photographer. More here: 3d section. This week-end I wanted to do some fun 3d. So I grabbed the Daniel Craig's basemesh and after 6 hours, of work I turned it into something way less human... See 3d section. Three more drawings have been added 'page 8' and 'page 9 and'page 10. 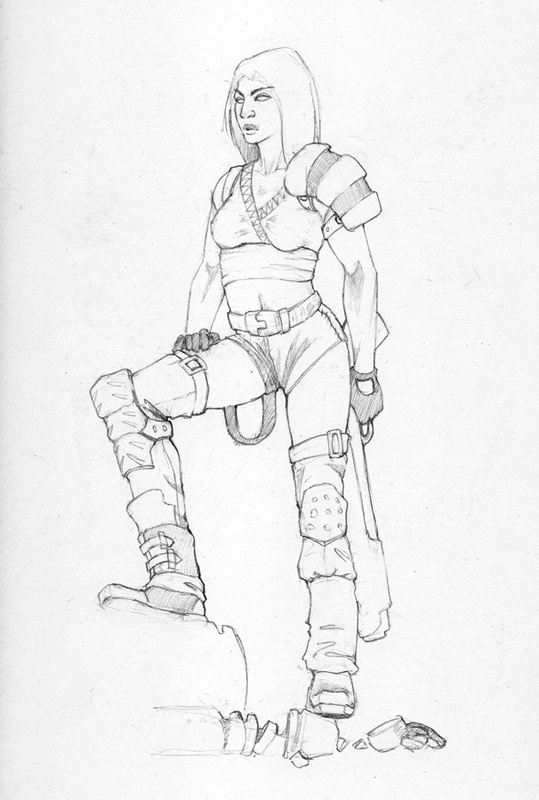 ... Not very happy with the results though; I find the strokes are still quite 'stiff'... using a mechanical pencil must be quite limitating in terms of flexibility. 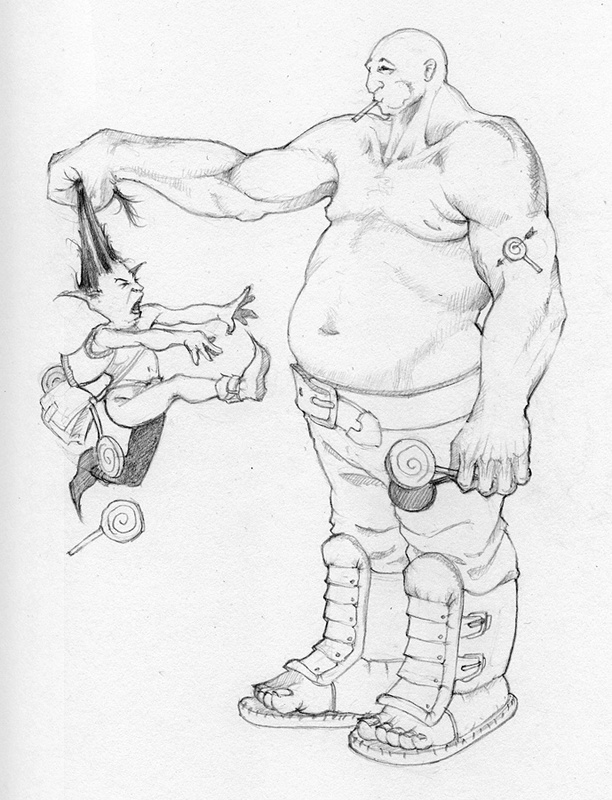 Added 2 more sketches, 'page 6' and 'page 7' in the 2D section. Added 2 images of my latest zbrush training:'Neptune Calming The Waves'. New project inspired from Frank Frazetta's 'Neanderthal'. Recently joined - Larian Studios - a belgian video game company as a 3D artist (the makers of Divine Divinity). I've added some artworks made at school in '2d work' section. © Wai Yeh Leung. All rights reserved.